Insurers have so far been shielded from digital disruption by an older demographic, underwriting expertise, and regulatory barriers. But this is changing. The past few years have seen the emergence of a growing number of digital insurers like BIMA, Cuvva, Lemonade, Oscar, Slice, and Trōv, which use digital technologies to simplify the buying and managing of insurance, streamline operations, and offer new products to customers. While these startups face the usual challenges — operating on narrow margins and trying to achieve scale before their capital runs out — they are transforming insurance by offering flexible, tailored, and engaging coverage. 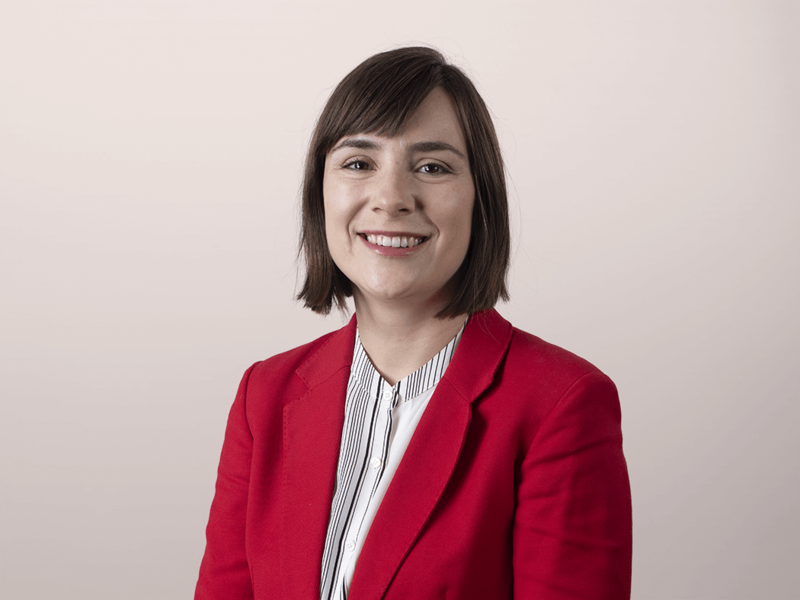 I’m excited to showcase Wrisk, a UK-based insurtech startup whose upcoming launch will bring a number of innovations to the market, including flexible policies centered on an individual, a transparent Wrisk Score, and customer engagement through Wrisk Rewards. 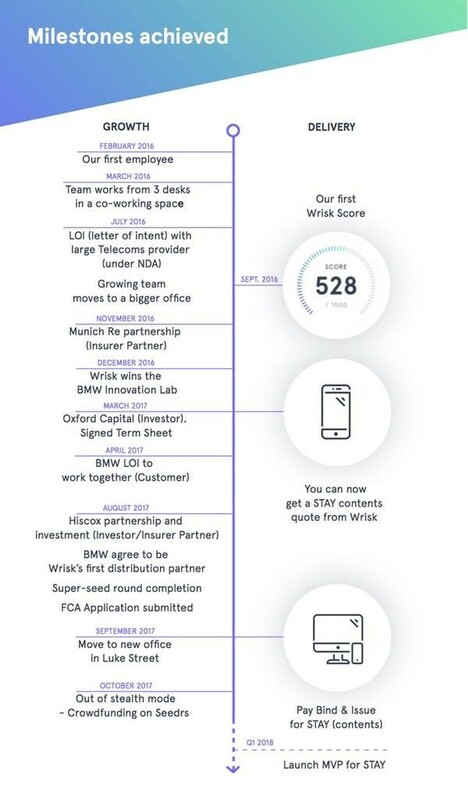 Wrisk was founded in 2016 and has hit a number of milestones already, including becoming authorized by the Financial Conduct Authority (FCA) on December 1, 2017 and attracting £638,741 through crowdfunding and £3M in a super seed round led by venture capital firm, Oxford Capital Partners. We’ve spoken with Niall Barton, CEO of Wrisk, as part of our research for our digital insurers report and ahead of the Wrisk product launch in the first quarter of 2018. Q: How is Wrisk changing the insurance product? Our company is fairly ambitious because we’re trying to change the mindset of the customer as to what insurance is and how they can buy it. People don’t understand insurance; they don’t trust it; it’s not connected to their lives and devices. But they will respond to something with a bit more dialogue, a bit more insight. We’re putting all of your insurance products in one place and essentially insuring the person, rather than creating artificial product silos. It’s a continuous policy that reflects how we do business in other areas of our lives. You don’t change your bank account provider every year. Why would you want to change your insurance? So we won’t just engage with our customers once a year, when they have to fill in a long form and write a fat check. We want to be a permanent policy. Q: Part of your engagement strategy with customers is to share their data back with them through your Wrisk Score. Why do you think this is important? In the UK, comparison websites dominate insurance research. It’s a race to the bottom in terms of price. But people still don’t know why they’re priced the way they are or what they can do change that. And most insurers are pretty reluctant to show customers what influences the price. They think of data and risk modeling as their crown jewels. We have what we call our Wrisk Score, which helps customers understand their risk profile, how it impacts their premiums, and what they can do about it. When we tested this, we’ve found that people are used to credit scores and they like to understand what impacts them. Wrisk Score is at the core of our business model. It will evolve over time as we get more sophisticated and learn from our customers. We’ll probably give people credits — Wrisk Rewards — for giving us more information. This will make sharing of information a fair trade. We will experiment with this — no one is ready to move to Facebook or Amazon data yet. And it’s not a magic formula that will enable us to suddenly halve the price of insurance. At first, the big win for customers will be a more interactive and engaging customer experience. It will probably be a number of years before pricing changes radically. Personally, I think we will get better customers, with a better loss ratio, because they’re more careful and we will be able to pass on some of those savings to them. Q: You have announced partnerships with companies like BMW, Hiscox, and Munich Re. What’s driving these partnerships? With the challenger banks and fintech, it seems to be either side of the road. If you’re setting up a bank, you don’t tend to cooperate with the incumbents. There’s much more collaboration in insurtech. I don’t like to use the word “disrupt” — it’s quite a provocative term. We’re partnering with Munich Re and Hiscox, and we’re going to partner with a couple of other specialists. For Munich Re, we’re their managing general agent for the UK, Europe, and America. We create the products, the rating engine that’s blessed by them, and off we go. We are fully regulated. With Hiscox, we’re working on some specialized, light commercial products. At the end of the day, insurance is still a trust product — you want to buy from a company that’s going to pay in an event of a loss. That’s why we have Munich Re and Hiscox — huge brands — behind us. We explored going full stack ourselves and having our own capital, but we don’t want to be in a manufacturing business. We want to be in a distribution, pricing, and product development business. Becoming a fully regulated insurer is a very time-consuming process. This is a better way — you don’t have to raise a massive amount of capital to be at the table. Partnering with BMW is part of our B2B2C strategy. We expect to have various partners such as BMW, who are looking for a more sophisticated insurance product for their customers’ emerging needs —– for example, car sharing or autonomous driving, a product that will add to their brand value. Q: What role has crowdfunding played in Wrisk’s journey? One of the drivers behind our recent crowdfunding round was to start to engage with end users. That’s what we’ve learned from the challenger banks: Start by building a community of enthusiasts. I’m not going to be spending our budget on ads with soft animals — we’ll never be able to compete with that. We need to be creative in terms of reaching our customers and building a community. We’ve spent probably as much time on developing our customer strategy as on building our technology. We’ve ended up with over £600,000 and 600 new investors from 28 countries. So many people want to see a new insurance model blossom — that’s blown our minds! And they put their money where their mouth is, investing from £10 to £20,000. Interestingly, the crowdfunding round has also been one of the best recruiting tools we’ve ever experienced. All these talented engineers saw us and our business model, and we now have lots of people approaching us.